Pomegranates are one of the most powerful superfruits. Surprised? 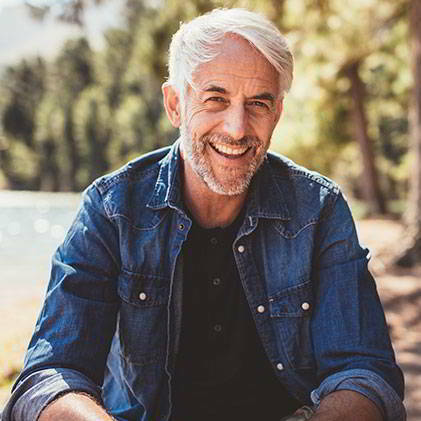 They have a whole host of powerful properties such as antioxidants, helping to combat ageing, and anti-inflammatory qualities, helping to reduce cholesterol levels and prevent cardiovascular diseases. If you want to start taking care of yourself inside and out, then the pomegranate is your fruit! 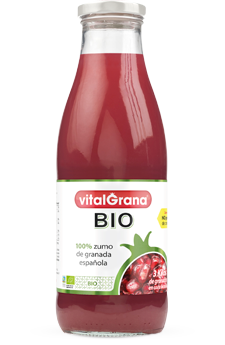 Vitalgrana Totum System ® is the patented system with which we make our pomegranate juices so that they have all the properties of this superfruit. To do this, we separate the peel, the membranes, the grains and the seeds and press them together in the perfect proportions. Thus, we create a unique pomegranate juice, 100% natural for your maximum well-being. 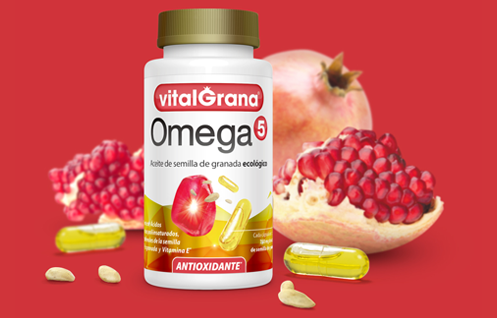 Vitalgrana Omega 5 are organic pomegranate seed oil capsules obtained from the cold pressing of pomegranate seeds grown in Spain. 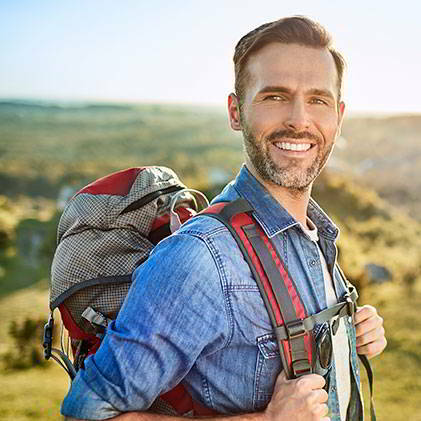 Thus, we offer you an authentic omega heightening wellbeing and beauty. 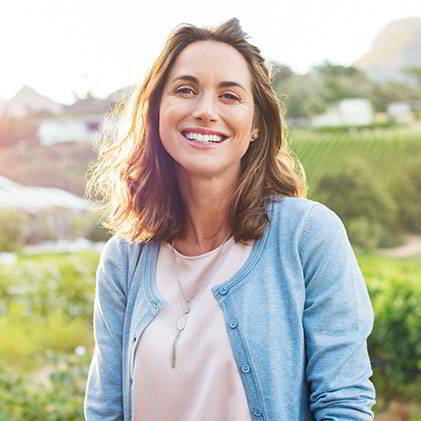 Our mission is to make you radiant outside and in.